Boudreaux’s New Orleans Style Sno-Balls serves up a refreshing treat during the summer heat. 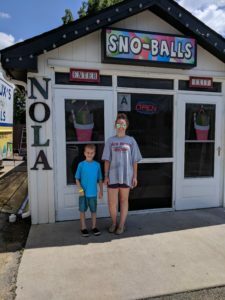 My kids and I recently visited the Boudreaux’s New Orleans Style Sno-Balls shop after a trip to E.P. Tom Sawyer State Park to swim. It was the perfect way to end our afternoon! This tiny little shop in Middletown is unique, locally owned, and bursting with friendliness and flavor! 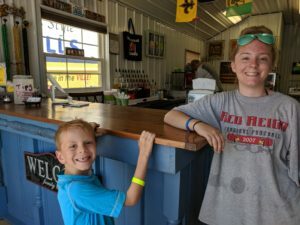 I’ve driven by the little hut on Shelbyville Road daily on my way to work, but have never stopped in until the other day. Now I’ll be heading back for many more treats with my family until they close up for the fall and winter. We each decided to try a different flavor. 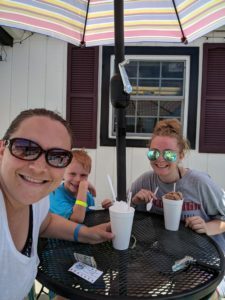 I had a pina colada, my son had grape (his current favorite flavor of anything), and my daughter tried a Boudreaux’s original and shop favorite: chocolate cream. When I tried a taste of hers, I understood what the jovial shop owner at Boudreaux’s meant when he said he’s been making sno-balls for over 30 years and chocolate cream is the only one he ever eats! It was amazingly fresh and delicious: it tasted like chocolate ice cream! The cream flavors are made with a special ingredient: condensed milk that they add to the syrup and ice when they make the sno-ball. And just to note: a sno-ball differs in consistency from a snow-cone. Sno-balls are extremely popular in New Orleans. 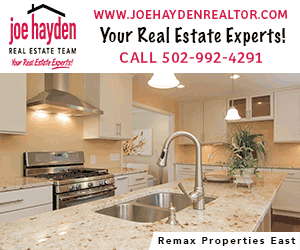 You can learn a bit more about the history here. We will definitely return to Boudreaux’s! Even my daughter noticed the care and detail the owner spent creating our sno-balls. You get a heaping cup of shaved ice that is meticulously packed into your cup, and they spend the time to make sure your flavored syrup reaches all the way to the bottom of your cup of ice by placing a hole in the ice and filling it with syrup first before adding syrup to the top. They also serve it with a spoon and a straw so you can drink it if it melts. It was just a delightful experience and the sno-balls were packed with tastiness for your sweet tooth. Prices for sno-balls range from $2 for a small to approximately $6 for an extra large. Cream flavors are $.50 extra and include chocolate, ice cream, coconut, and strawberry. You can also get chocolate syrup added for an extra $.50, and they have sugar-free options. Check them out on Facebook for regular updates. Their hours are Monday-Saturday 2pm-9pm; they remain open through September. Boudreaux’s New Orleans Style Sno-Balls is located at 11816 Shelbyville Road next to Dairy Queen.